With its $670 million acquisition of NGINX, F5 Networks gains strong support for containers, multi-cloud application delivery, and a thriving open source community -- all of which will make F5 a more attractive supplier to telcos and other operators looking to virtualize their networks. The NGINX acquisition, announced March 11, bolsters F5's support for modern application architectures: containers, microservices, and cloud-native applications that run on multiple public, private and hybrid clouds, built with open source, Lori MacVittie, F5's principal technical evangelist, tells Light Reading. "They have cloud-native support and are the open source leader," MacVittie says. 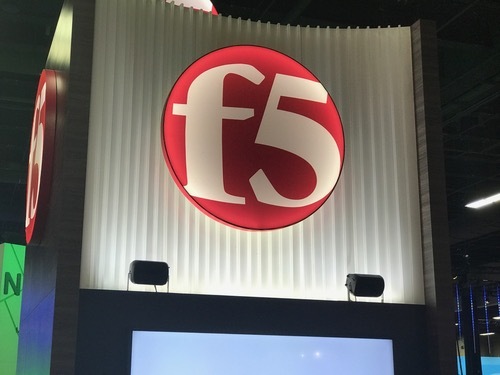 F5's acquisition of NGINX accelerates the company's transition to multi-cloud, combining F5 application security and application services for improving performance, availability and management, with NGINX's application delivery and API management, and support in the DevOps and open source communities, F5 says. NGINX backs the open source nginx server. "Customers are modernizing applications, putting pressures on the infrastructure, that we didn't see before," Sidney Rabsatt, NGINX VP product management, tells Light Reading. "They need the freedom to run various applications wherever they want, in the cloud or on-prem." NGINX complements F5 by providing support for east-west traffic: communication between applications using APIs, which is becoming increasingly important on modern networks, Rabsatt says. F5 historically supports north-south traffic: between the data center, user and public Internet. Additionally, NGINX is focused on serving developers, who need tools, particularly open source tools, to move applications from development to production, Rabsatt says. NGINX's developer focus complements F5's traditional focus on serving network operations. All of this sits squarely with the needs of telcos and other communications service providers, who are transitioning to a telco cloud model, away from networks controlled by purpose-built hardware devices, toward virtual network functions (VNFs) that run on a common pool of cloud resources. And just as the NGINX acquisition helps F5 transition from NetOps to DevOps, telcos and other CSPs are looking to make the same transition, from hardware-based network management to a software and API-based model for managing networks. "We are very heavily involved in the telcos," MacVittie says. "A lot of what they're doing is building out NFV, breaking down their services into different kinds of functionality. In addition, they have needs for massive traffic management." 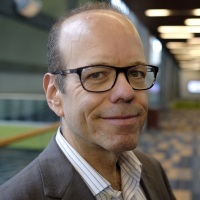 With the addition of NGINX, F5 will be able to better help telcos build pools of scalable functionality that they offer to customers, MacVittie says. As a bonus, F5 gains access to NGINX's Web server. "We don't have a web server. We never have. What can you do with that? We don't know right now. It's an attractive prospect," MacVittie says. Of course, F5 hopes the NGINX acquisition will help its bottom line. Like major networking vendors Cisco, Ericsson and Nokia, F5 is on a long, difficult journey to transition from a legacy delivering services on purpose built hardware, to delivering services in software and on the cloud. F5's progress can best be described as average -- or, in Wall Street terms "hold," which is the current consensus recommendation of financial analysts for F5 shares. In F5's first quarter of fiscal 2019 ending Dec. 31, the company reported revenue of $543.8 million, up 4% year-over-year. F5's stock traded mid-Tuesday at $154.64, down 4.6% since the companies announced the deal. Over the last year, F5 shares are up more than 3%, just behind the S&P 500 index, which is up nearly 5%. F5 has made a big move into the containerized applications space. Buying NGINX is the only way to get to DevOps teams who control the stack for these applications. 2nd place ADC vendor Citrix has struggled for several years to break in to the containerized application space with a version of their ADC formerly known as NetScaler. Unfortunately the DevOps teams don't look to the incumbent hardware vendors when they are looking for an ADC. They look to opensource versions that come with their Linux distribution. F5 has a way forward with this move, as long as they can managed to convert enough customers to pay. Citrix on the other hand will continue to struggle as organizations move their applications from legacy architectures to containers and micro-services.